Plans for Sony to announce the Xperia Z4 smartphone at CES 2015 are already in place, though we have yet to get an official look at the next-gen device. However, one rendering specialist under the alias Warp Flame decided to share his own vision of the device by integrating a ridiculously powerful camera on the rear. 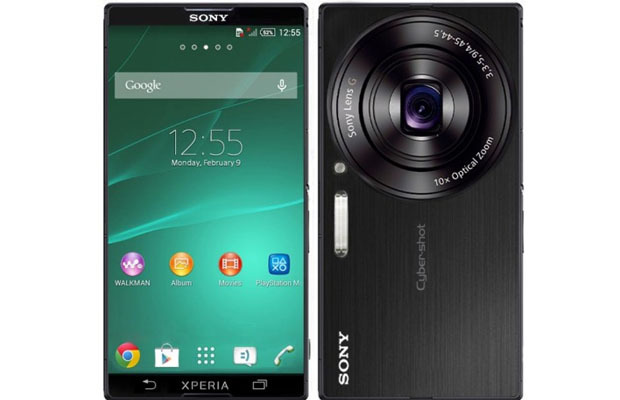 Photographers will notice this Xperia Z4 concept sports the company’s patented Cyber-shot shooter on the back, which is said to boast such as the Sony Lens G, 10x optical zoom and a Xenon flash. It’s a pretty unique design, though some of the phone’s other facets come off as quite odd, especially since there is no Home button. Then again, many would assume the Xperia logo would suffice as the latter. Look further into the prototype and you’ll notice the two front stereo speakers crammed onto the top and bottom of the device. Sony knows it is time for an upgrade. Hopefully we’re looking into what could possibly become its next flagship smartphone.